The 50-year-old Pakistani national was staying at a history-sheeter's house in Sultanpur town in Rajasthan's Kota district. 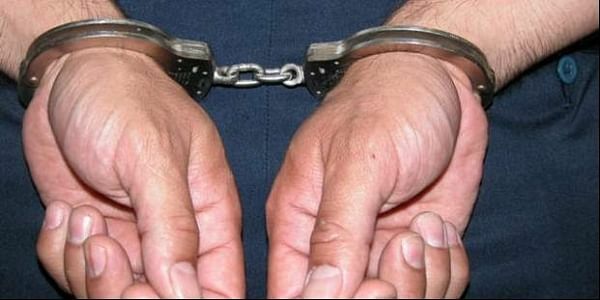 KOTA: A 50-year-old Pakistani national, who allegedly entered India illegally from Nepal and was staying at a history-sheeter's house in Sultanpur town in Rajasthan's Kota district, has been rounded up, the police said today. The history-sheeter, identified as Mohammed Khalid, has also been rounded up, they said. Mohammed Hanif, a resident of Karachi in Pakistan, was rounded up late last night from Khalid's house, where he had been staying without visa and passport since November 6, SHO of Sultanpur police station Devesh Bhardwaj said. During interrogation, Hanif revealed that he had entered India illegally via Kathmandu in Nepal last month. After reaching Delhi, he went to Ajmer where stayed a night in a hotel. He arrived in Sultanpur on November 6, the SHO said. He is being questioned to ascertain the motive behind entering the country illegally. Hanif's statements are being verified, the police official said, adding Khalid's aunt was married in Pakistan. A case under relevant sections of the Foreigners Act and Passport Act has been registered against Hanif and Khalid, Bhardwaj said.